Note-taking is one of the best ways to be productive. Especially for writers who keep having new ideas from time to time, keeping a notebook handy is very useful. Moreover, bloggers like us often need to jot down ideas for our next blog posts so that our readers would keep coming back to our site. 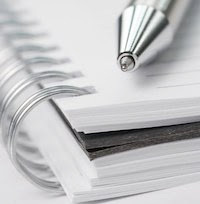 In all, note-taking is a really important activity, an activity which was previously based on pen and paper, and which is now catching up online. Apps like Evernote, Springpad, and Fetchnotes have already made note-taking quite popular amongst web users. However, there are others, especially Linux users, who prefer staying offline, away from all the distractions, and jotting their ideas down in peace. 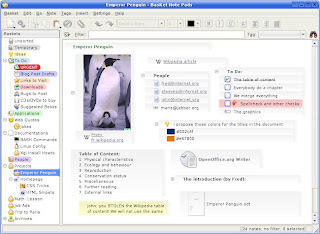 For those of you who are interested, there are some really cool Linux applications that make note-taking easy and convenient. 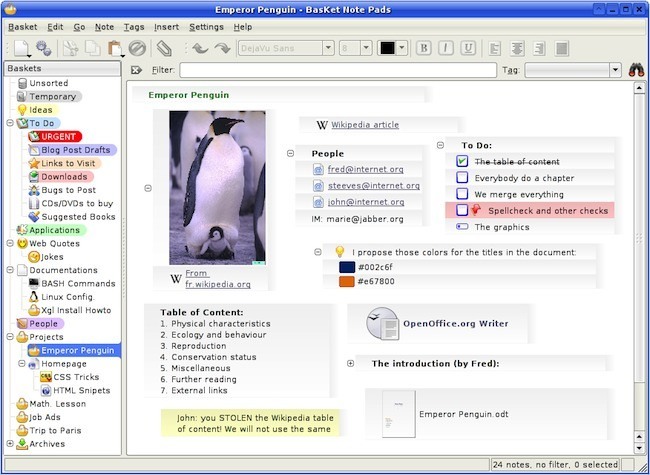 So, without much ado, here are some of the best note-taking applications for Linux. Tomboy is my personal favorite. 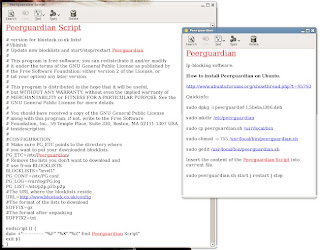 Licensed under LGPL, this free application lets you take notes on Windows, Linux, and Mac OS X. Apart from simply taking a note, Tomboy also lets you edit notes, highlight them, make bullet lists, and more. For Ubuntu users, the app blends perfectly with the rest of the Unity desktop making it perfect for new users. Another interesting feature on Tomboy is its ability to support plugins. These plugins add various functionalities to Tomboy. 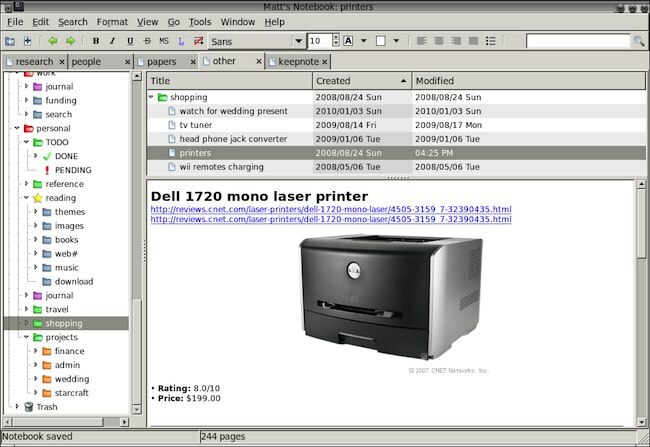 For example, you can write LaTeX equations, print notes, and even link them to your email (using Evolution). Finally, to make sure that you don’t lose all your notes, Tomboy also comes with online note synchronization. 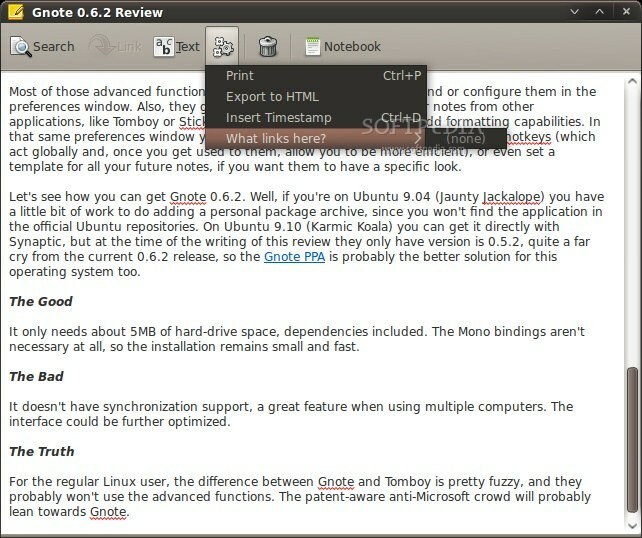 Simply link Tomboy to your Ubuntu One account and all your notes will be in the cloud. For Android users, there is also an application called Tomdroid that lets Tomboy users access their notes from their phones. 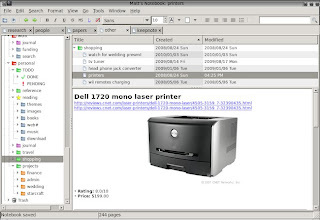 Gnote is a Tomboy clone written in C++. Since Tomboy depends heavily on the dreaded Mono, the developer decided to create Gnote as a lightweight replacement to the note-taking software. The application offers pretty much the same functionalities that Tomboy offers, moreover, it is a little more lightweight (dependency-wise) as compared to Tomboy. That said, Tomboy can boast of a pretty long list of features that Gnote doesn't have yet. In fact, it won’t be wrong to say that Gnote is a poor man’s Tomboy. However, if you have been using Tomboy for a long time and want to switch to Gnote, then simply download the Tomboy importer plugin and make the switch. 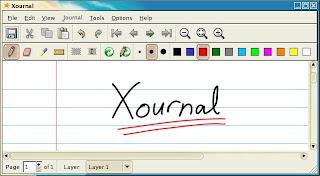 If, apart from standard note taking, you wanted a complete journal, then Xournal is the perfect application for you. Inspired by Microsoft Journal, Xournal presents itself in the form of a clean, white notebook on which you can scribble anything you want. You can draw pictures, use it as a personal diary, and, of course, take notes. 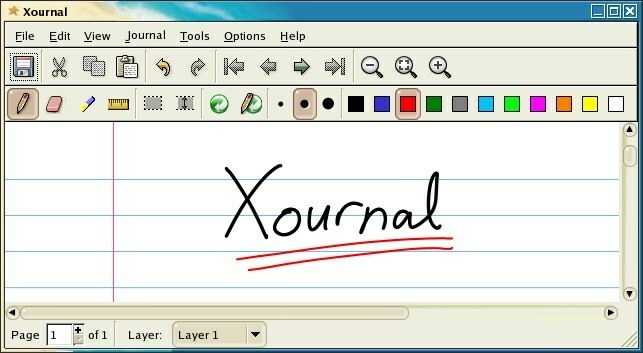 Though not as great as Tomboy, Xournal does serve as a great journaling application. For KDE lovers, Basket is one of the best note-taking applications out there. Blending perfectly with the K Desktop Environment, Basket lets you take notes, organize them, and also make Todo lists. Serving more like an Evernote-esque organizational application, Basket is a great software if you’re doing research or even writing a book. Of course, Basket does come with note-taking capabilities; however, it is more suited for researchers. KeepNote is a free application that lets you take notes, make TODO lists, keep journal entries, and more. KeepNote comes with interesting features like rich text formatting, full text search, integrated screenshots, auto-saving, and interlinking of notes. Once you’re done writing, you can backup all your notes as zip archives and restore them later on. Furthermore, KeepNote also lets you extend the application’s functionality using extensions and plug-ins. The app is open-source, cross-platform, and is pretty much stable for daily use. Worth a try if you’re looking for something different. The best for me: keepnote, i've tried all them and based my notes in this software. One vote for keepnote! Increadible! No mention of Zim, the best of them all by far. Tomboy?!!! The best, without a tree view and various open notes all over the place. What a joke!!! All tongue in cheek, but true. Basket is another joke by the way. A disfunctional jumble. Much crippled compared to Zim. 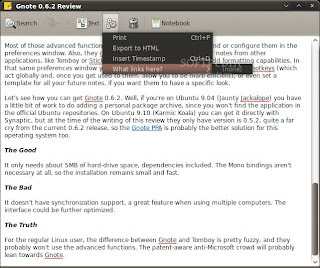 Is there any note application for Linux (esp.ubuntu) which has features almost similar to Onenote for Windows ? I need features for making shapes (square, circle, etc), lines (one-arrow, two-arrow lines), text-box.